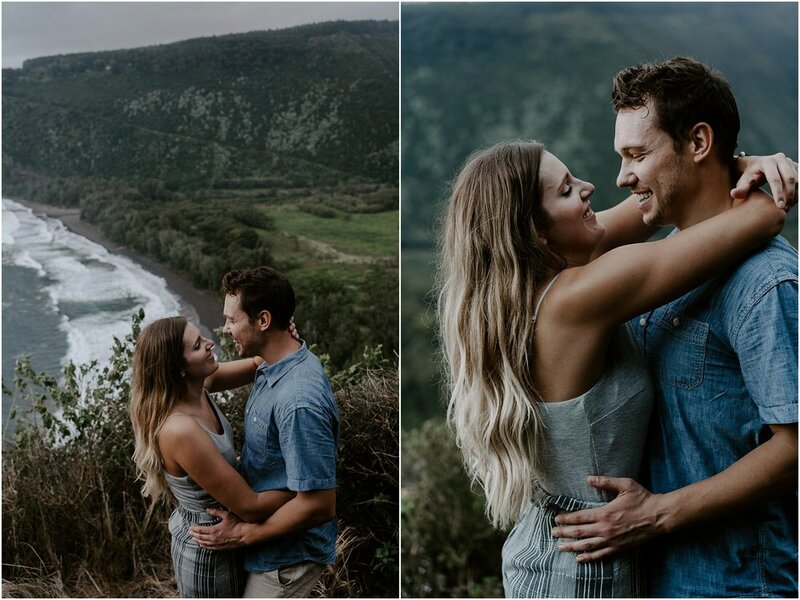 Emily reached out to us on Instagram for an adventure session because her and Brett were visiting the Big Island for the first time. They wanted to capture some candid moments of their time spent on the island. 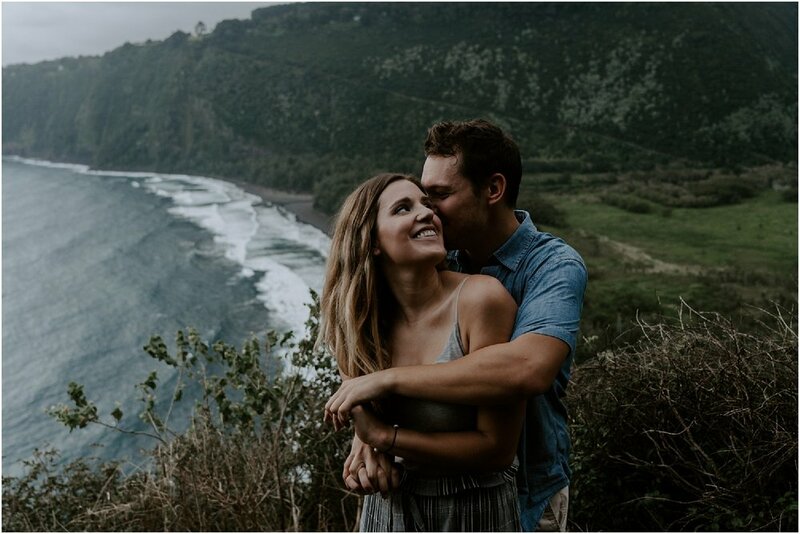 Emily and Brett lived on Oahu for four months and loved their time there. They decided on Big Island because neither of them had been before and they were so excited to adventure and explore. I, of course, went to Emily’s Instagram to see what things are important to her in regard to photography. I immediately saw amazing travel photos and epic adventures! 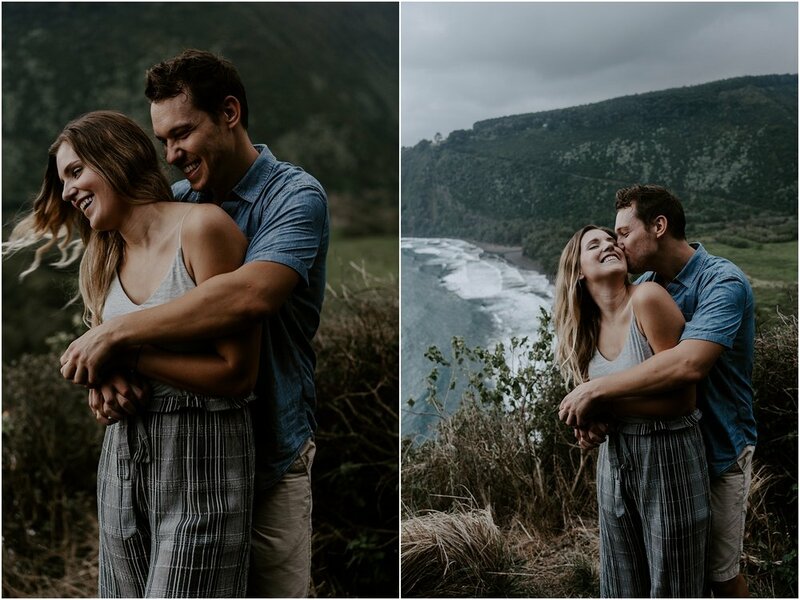 I knew Brett and Emily were going to be a great fit for our photography style and Ryan and I agreed to capture them while they were visiting. 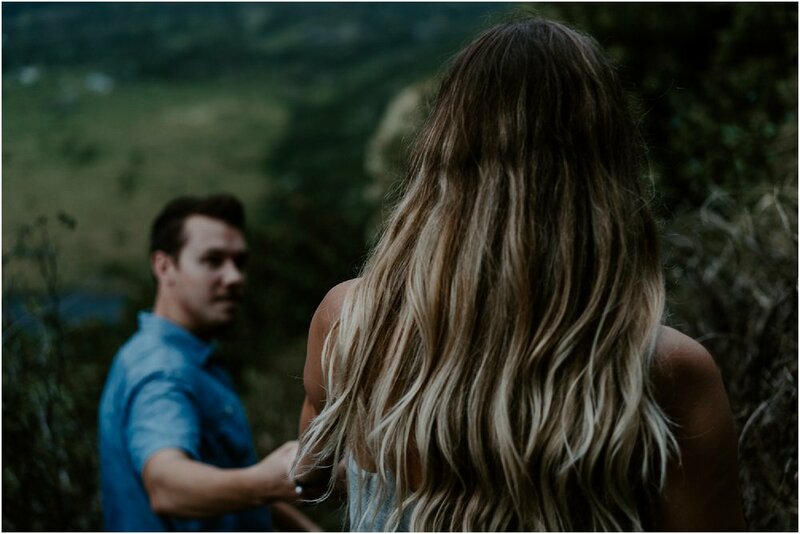 Since Brett and Emily are hikers and love exploring, we decided on an adventure session into one of the valleys. We were originally going to take their 4WD into the valley, but at the last minute realized they only had AWD. We scratched the plan of taking the car down and hiked the whole way. 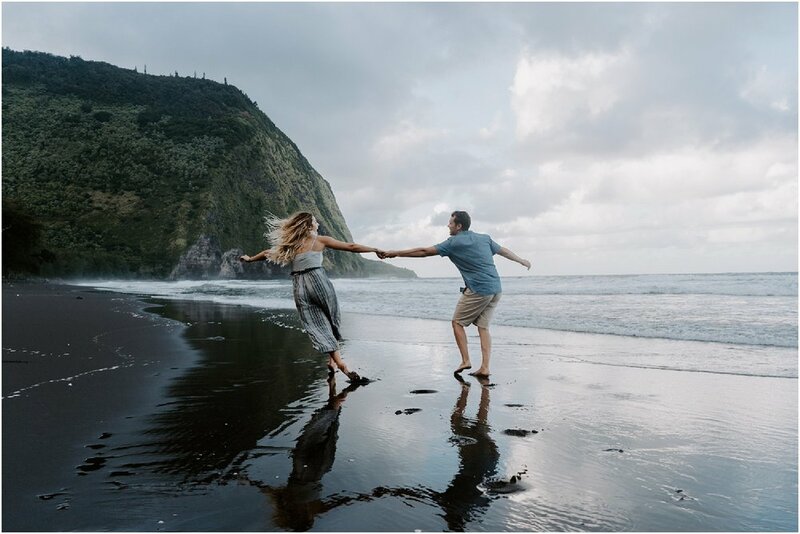 We had so much fun hiking down into the valley, capturing photos across the black sand beach, crossing rivers, and hiking up the mountain to get incredible views. While we definitely put Emily and Brett through a workout with our prompts and all of the hiking, these two were absolute champs and loved every second of the adventure. 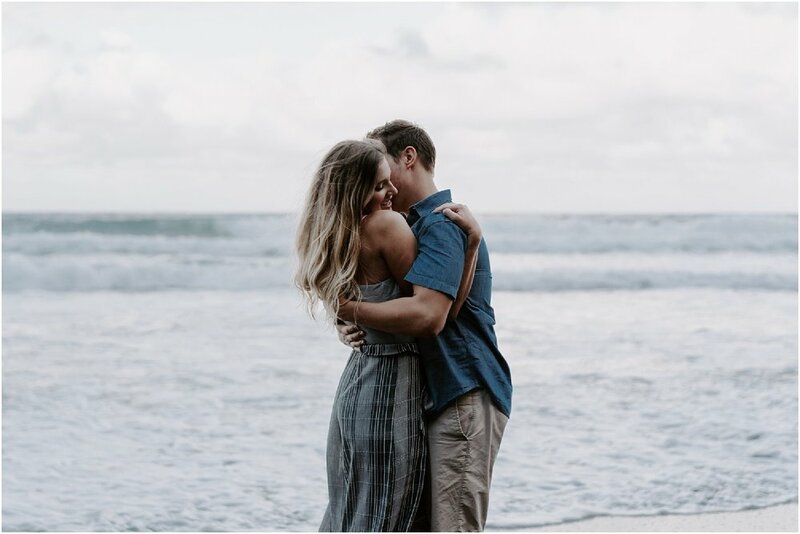 Ryan and I were thriving as we captured the fun and goofy personalities of these two, as well as the intimate moments between them. Who else is down for an adventure session while they are visiting the islands? !